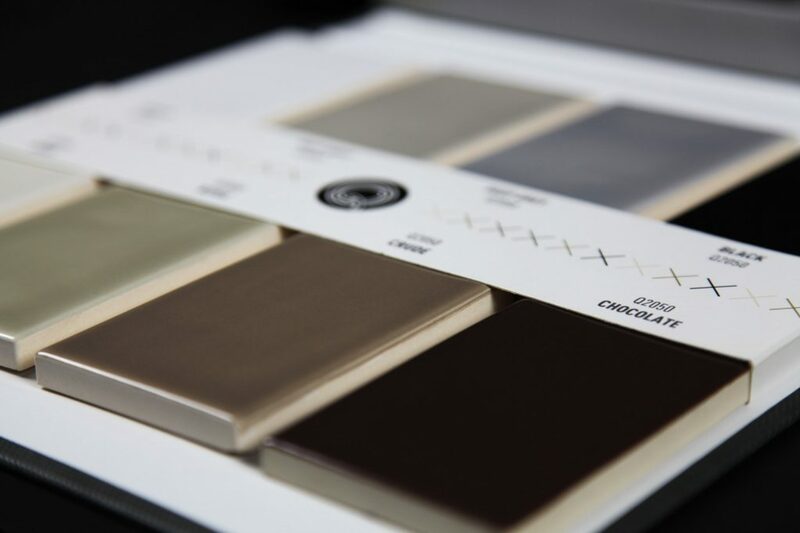 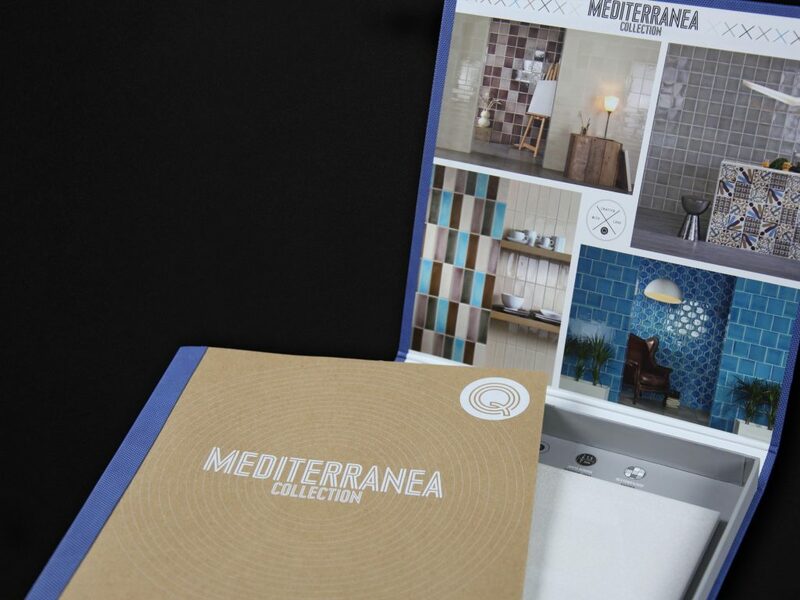 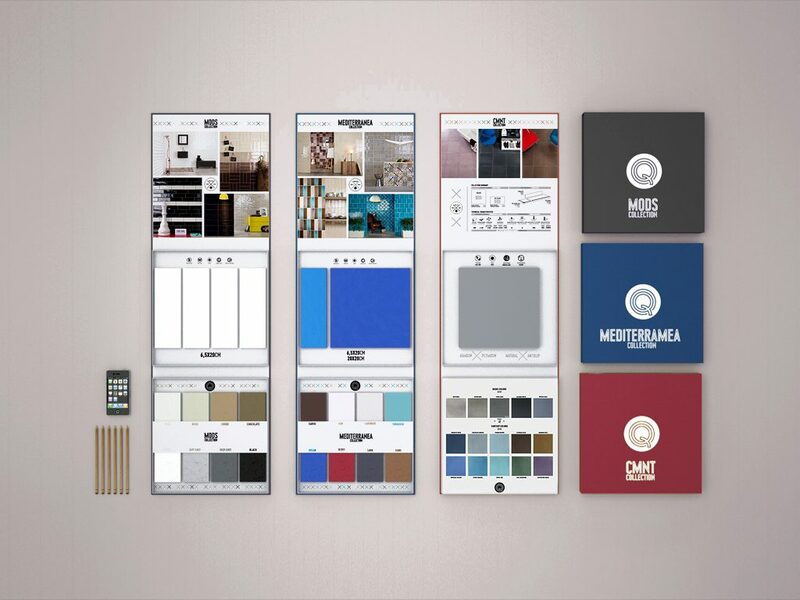 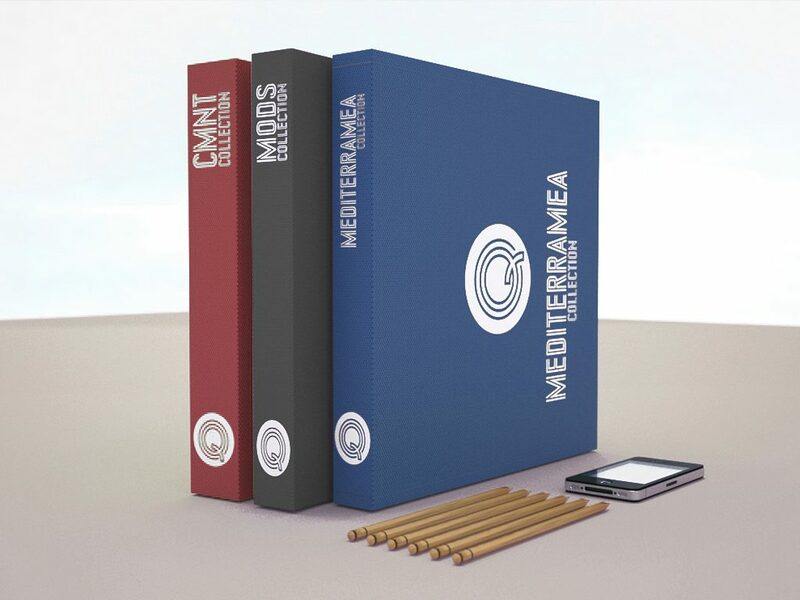 Q was focused to be the whim of interior designers and architects so we needed to make an outstanding creative work to design the new tiles and their folders. 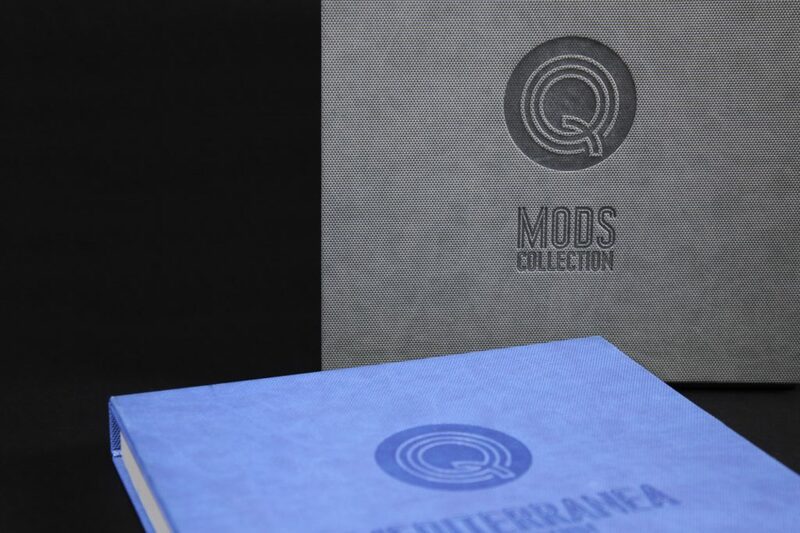 These sample folders were designed to provide a promotion tool to Q distributors. 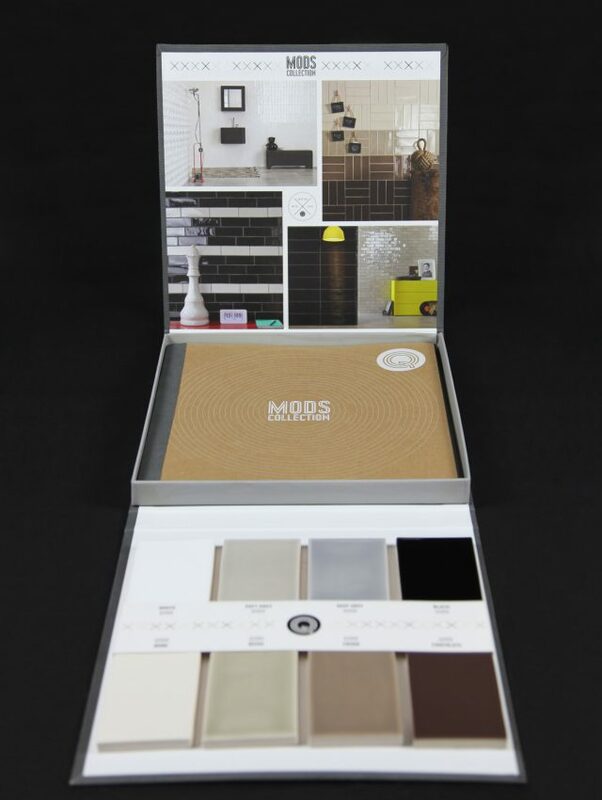 We thought in a three corps folder containing product photos, individual full size pieces and a cut of every available colour. 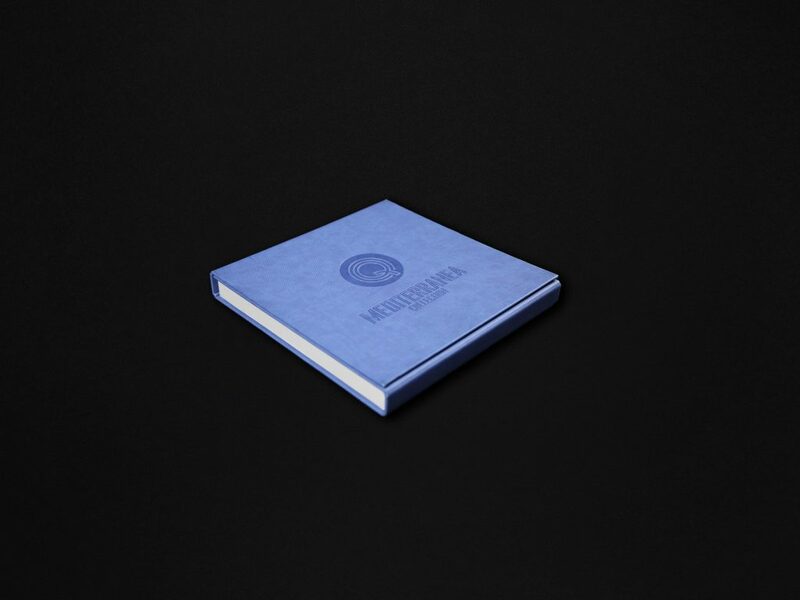 We wanted to give a premium look with the finishings, so we used the same rubber lining as for the catalogues (one colour for each collection), and a white stamp mark on it.